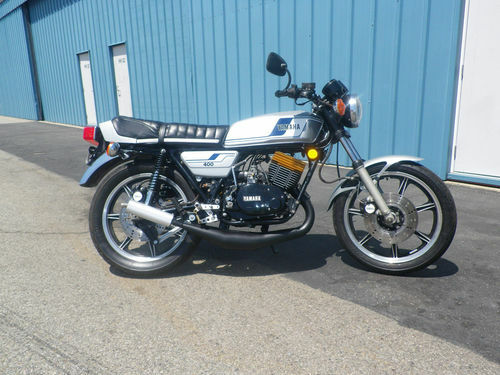 Wanna get into classic sports bikes on the cheap? This little RD400 would be a good gateway in. Very clean with the period correct parts to give it the perfect amount of extra performance. The seller is short and to the point so I will be too. 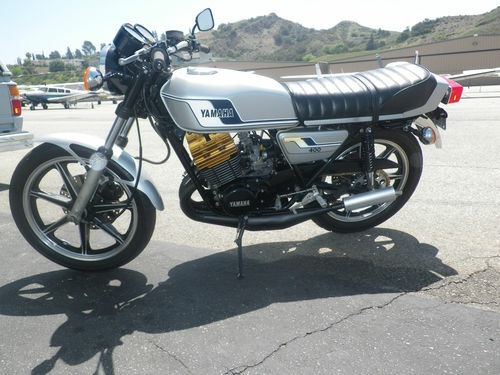 Yamaha Motorcyle RD in Pristine condition. Runs great, award winning at local shows. A thumbs up from Jay Leno, who saw this bike in person. Own a piece of history and childhood. 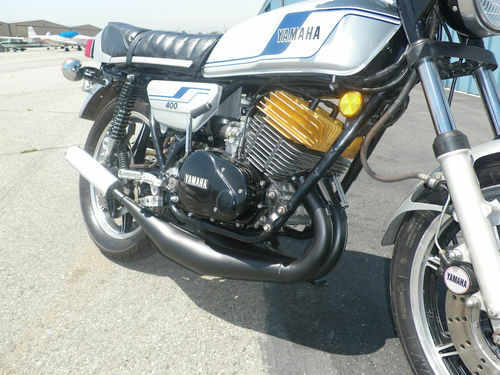 The ’78 may not handle quite as well as the ’79 and (in Canada) ’80 400s, but it’s still a SWEET bike. The DG heads and Spec II chambers are THE BUSINESS. I had a ’79, and its weight distribution is better than this particular year, but ANY RD400 in this condition will be an unmitigated blast to ride. I’m not in the market, sadly, but I encourage any fans of snap, crackle and smoke to pick it up. Coming on the pipe and having the front wheel lift is an experience NOT to be ignored. With these mods, it should come up — throttle only — in second gear on a cool day with fresh rings.